A walk around Athens will bring you to many beautiful hills and parks from where you can have a panoramic view of the town. The hill of Lycabettus is a pine covered hill visible from every part of the city, as it is the highest point in Athens. It dominates the megalopolis, rising at 270 metres above it. At the top of the hill one can visit the 19th century picturesque chapel of St.George, built on the same location of the Byzantine church of Prophet Ilias. The legend says during the ancient times, wolves roamed freely on the hill, then surrounded by countryside. The hill was named Lykavittos, which means the hill of the wolves. The Lycabettus hill offers an incredible panoramic view over the entire city and the surrounding mountains. Depending on the level of pollution, some clear days allow the climber to admire views of the port of Piraeus and even of the neighbouring islands of Salamina and Aegina. The Lykavitos hill is also famous for its open theatre which welcomes many artists from the national and international scene for jazz and rock concerts, as well as spectacles and many festivals. The top of the hill can be reached by foot, by car or a funicular rail-way departing from the neighbourhood of Kolonaki. The visitor can also find at the top of the hill a cafeteria and one of the most luxurious restaurants of Athens, both offering incredible views of the great city. It is located in the north west of the hill of the Pnyx. There is an observatory, built in 1842, on its top. It is located just bellow the entrance of the Acropolis, between the Acropolis and the Ancient Agora. The myth relates that it was the place where the council of gods held a trial for the god of war, Aris, who was accused of the murder of the son of Poseidon, Halirrhothios. In the Ancient Times, it used to be the place where the murder trials took place. The Areopagus Hill is also the place where Apostole Paul came to preach Christianity with his famous Sermon on an Unknown God in 51 A.D. It is said that his speech converted Dionysos, who became the Patron Saint of the city. The Areopagus Hill is easily accessible by the steps sculpted into the rock. 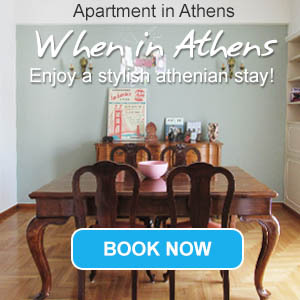 The hill offers a great panoramic view over the acropolis, the Ancient Agora and the west part of Athens. During the summer nights, many people gather there to enjoy the view and the peaceful atmosphere. Filopappos Hill (or the Hill of the Muses) can be seen opposite of the Acropolis. The hill took it name from a funeral monument built at its top in 115 A.D in memory of the Roman consul Gaius Julius Antiochus Philopappos. The monument used to measure 10 metres, and was adorned by statues of the family of Filopappos. The hill is also known as the Hill of the Muses, since the myth says it used to be the home of the 9 muses. The hill is lovely, completely covered by pine trees. Its top, only accessible by foot, offers incredible panoramic views over Athens, the acropolis and the Saronic Gulf. The hill also houses the small Byzantine chapel of Agios Dimitrios which contains some fine frescoes. In the 5th century BC, it was the meeting place of the Democratic Assembly also called the Assembly of the Demos. Every famous orator of Ancient Athens such as Aristides, Demosthenes, Pericles and Themistocles has delivered many speeches on that hill. It is located between the Philopappos hill and the Hill of the Nymphs. The National Gardens (Etnikos Kipos) or Kings Gardens are situated in the heart of Athens. These gardens were originally the royal gardens, and were designed by the Queen Amalia in the 19th century. They are an oasis of coolness and green in a big noisy city. Strolling around the gardens one will discover some interesting kind of trees and plants, duck ponds, a small zoo and a botanical museum which houses paintings and photographs. Many efforts have been made recently to clean up the gardens and to offer to the animals captured in the zoo more comfortable conditions. The gardens also house a playground and some nice cafes. They are located behind the Greek Parliament and the central square of Syntagma. In the centre of the gardens of Zappeion one can admire the Zappeion Megaron, a beautiful Neoclassical building erected in 1874-1888. It was originally built in order to host the first modern Olympic Games in Athens, in 1896. The building has been since the Games used as a centre for international conferences. It has often been the theatre of the most important political moments of Greece. The Zappeion Gardens are located next to the National Gardens and just off the central Square of Syntagma. The Areos Park is a nice, large, and very relaxing park. It is located on Leoforos Alexandras, not far from the National Archaeological Museum. This is a large garden in the area of Haidari, western Attica. It has more than 2,500 plant species and it is a wonderful place to walk.